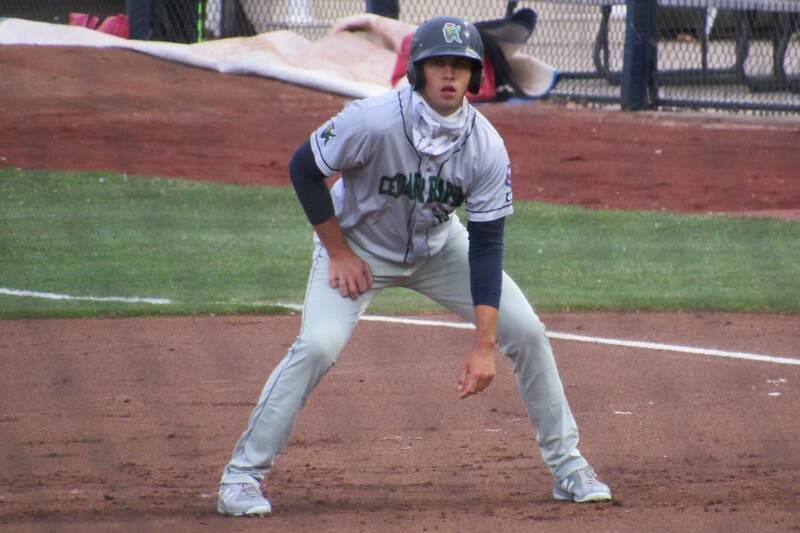 Minnesota Twins prospect Alex Kirilloff homered twice and drove in six runs to lead the Cedar Rapids Kernels to a 12-9 win over the Peoria Chiefs at Dozer Park on Wednesday. They were Kirilloff’s first home runs since 2016, after the former first-round draft pick missed the entire 2017 season because of Tommy John surgery. In addition to a two-run homer in the 1st and a three-run homer in the 3rd, Kirilloff singled home a run in the 6th. You can read more about Kirilloff in my Kernels team preview here. The Kernels offense also included Ben Rodriguez going 3-for-5 with a homer, a double, and two RBI; and a solo homer by David Banuelos. Dylan Carlson hit a three-run homer for the Chiefs. Peoria’s Taylor Bryant went 3-for-5 with a double, three runs scored, and one RBI. Yariel Gonzalez also had three hits for the Chiefs, and drove in two runs. The Kernels improved to 5-0 this season. This entry was posted in Cedar Rapids Kernels, Midwest League, Peoria Chiefs. Bookmark the permalink.